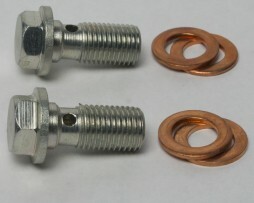 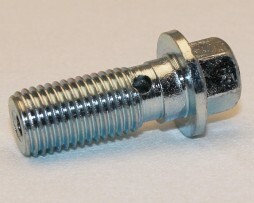 Sometimes refered to as brake hose bolts a banjo bolt is used to connect a brake line with a banjo fitting to the wheel. 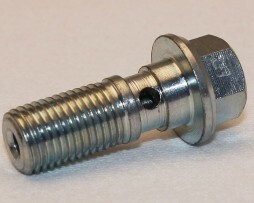 A banjo bolt allows for a more flexible and low profile connection to allow the wheels to turn. 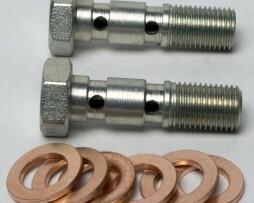 You can begin by identifying the thread you need and using the listings below. 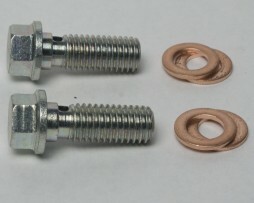 1/2 x 20UNF banjo bolt set. 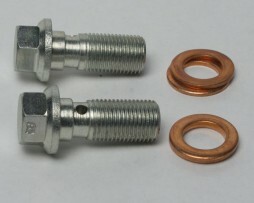 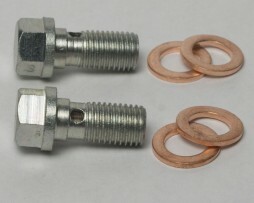 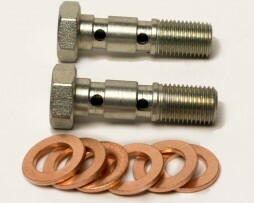 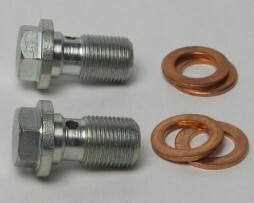 Sometimes called a flex line bolt or a brake hose bolt these are used to attach your brake line to the caliper. 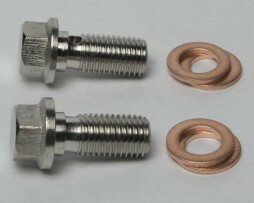 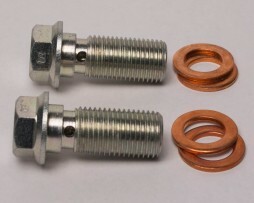 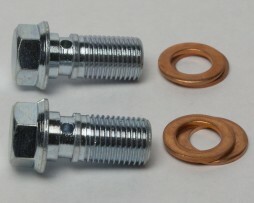 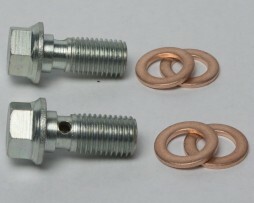 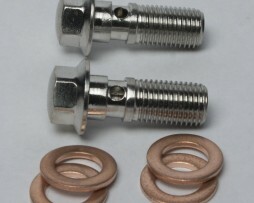 Includes replacement copper washers for a perfect fit. 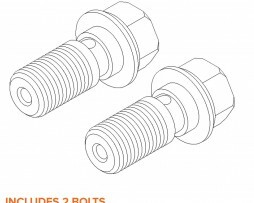 3/8 x 24 UNF Double Banjo Bolt. 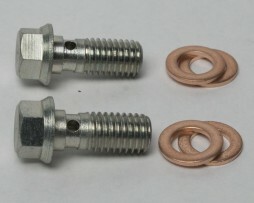 Sometimes called a brake hose bolt or flex hose bolt. 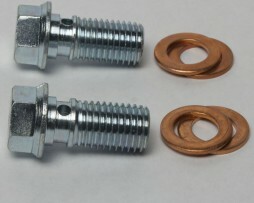 Note: Includes 2 Banjo Bolts and 4 Copper Washers. 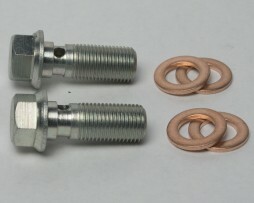 Updated image coming soon. 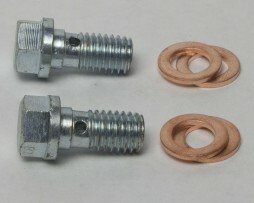 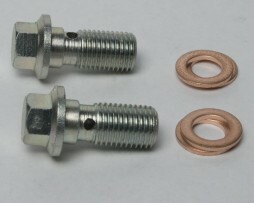 Note item includes 2 Banjo Bolts and 4 Copper Washers. 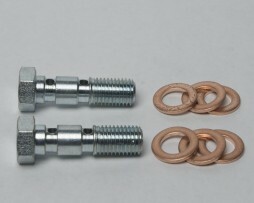 Updated image coming soon.